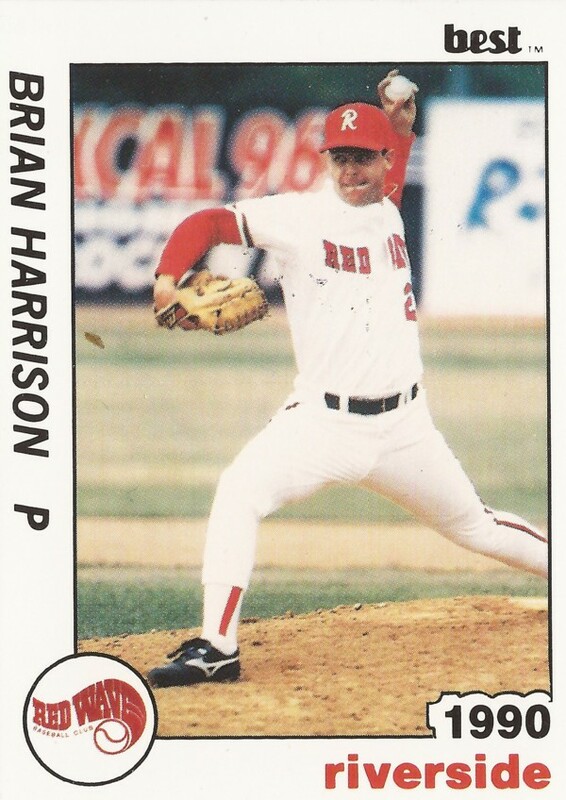 Brian Harrison tried to restart his career in 1994 after time away and he played well. By early August, Harrison was 5-1 for independent high-A San Bernardino, with a 3.86 ERA. He also had 65 strikeouts in just over 58 innings, according to The Los Angeles Times. "He's done a super job for us all year," San Bernardino manager Greg Mahlberg told The Times. Harrison resumed his career after three seasons away. The first part of his career lasted five seasons. He never made AA. In the second part, he's recorded as making AA Memphis, but not making it higher. 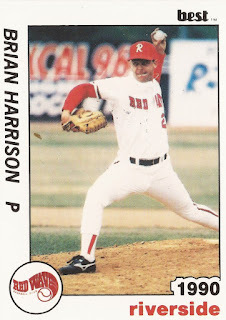 Harrison's career began in 1986, taken by the Padres in the first round of the January draft out of Ventura College. At Ventura College, Harrison went 6-3, with a 2.17 ERA. He started with the Padres at short-season Spokane. He had a 6.20 ERA over 22 outings, five starts. He had a rough time in an early contest for Spokane, giving up two runs without recording an out. A few days later, he pitched into the sixth inning of a start without giving up a run. Harrison moved to single-A Charleston for 1987. He went three innings of relief in an August game, giving up one earned. Overall, he got 37 outings, three starts and had a 2.72 ERA. He then played the next three seasons at single-A Riverside. He had ERAs over four in his first two seasons there. Then, in 1990, he got into 37 games and had an ERA of 1.19. He then isn't recorded as playing the next three seasons. He returned to the field with San Bernardino in 1994. He went 5-1 overall that year back, with a 3.86 ERA. His season ended in mid-August due to bone spurs in his elbow. He is recorded as coming back for one final season, at AA Memphis with the Padres in 1995, ending his career.